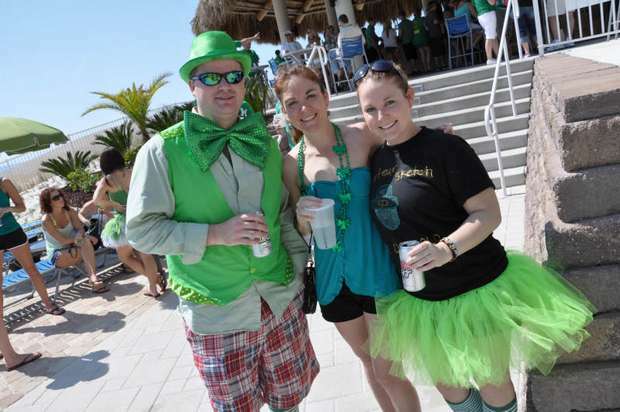 I spent an entertaining St. Paddy’s Day weekend at the Silken Sands Writer’s Conference put on by the Gulf Coast Romance Writers at Pensacola Beach, Florida. If you want to entice the New York movers and shakers, invite them to the Florida Gulf Coast in March. At eighty-five degrees and sunny, who could resist? How fortuitous that our pitch sessions took place under beach umbrellas on the lovely deck behind the hotel overlooking sand and sea–and St. Patrick’s Day pub crawlers. They weaved between our tables while celebrating loudly and sporting fascinating green getups. During my pitch to Jenny Bent of the Bent Agency, a drunken young man asked Ms. Bent to take a photo of him and his equally inebriated pals. It was–awkward, and a bit distracting, to say the least. I will never forget her expression. I admired her grace. I am usually of the opinion that I would rather an agent or editor not ask for my work if they aren’t interested, based on my pitch, because I don’t want to waste either of our time. I said this to my agent friend of several years, Lucienne Diver. She countered my well-formed opinion with something along the lines of, “I disagree. Some people fall apart and do a horrible job pitching, but are wonderful writers. If I represent what they write, I usually feel compelled to ask for at least a portion of the work.” I thought she had a decent point. I thought she had an even better point when the drunken pub crawlers ambled by while I pitched to Amanda Bergeron of Avon and found myself so distracted I could hardly utter an intelligible thought. I appreciated her requesting those three chapters and synopsis after such a crappy pitch–really. Thanks to Lucienne for helping me understand and to Amanda for supporting that school of thought. Congratulations to Barbara Vey for being named this year’s honoree for the RWA Service Award. The award will be presented at the RWA National Conference this summer. 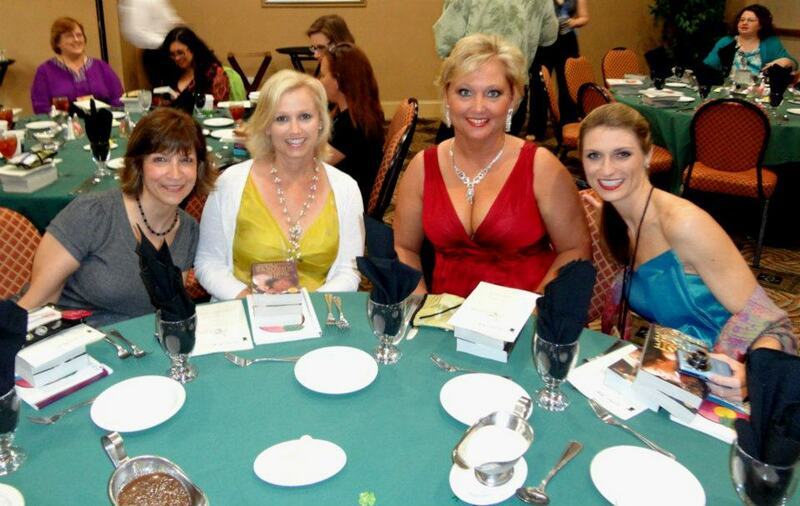 Thanks to the Gulf Coast chapter for such a lovely and fun weekend. I wish someone would hurry up and pick up your writing so I can read your books. I love reading your blogs btw! You and me, both. Thanks, Karen! If anyone can handle the distraction of a drunken crowd, it’s you, Susan! Looks like fun in the sun and I hope one of those agents or editors likes your work!